This paper reports the archaeobotanical data from the so-called Vasca Ducale (Ducal Pit), a brick rubbish pit discovered in the basal floor of the ducal palace of Ferrara, Emilia-Romagna, northern Italy. It was in use during the second half of the 15th century a.d. when the rich and powerful Este family inhabited the palace. Therefore, the results help to investigate the eating customs of a Renaissance court. The pit fill largely consisted of zoological remains, especially small bones and shellfish, with mainly waterlogged plant remains and some artefacts. 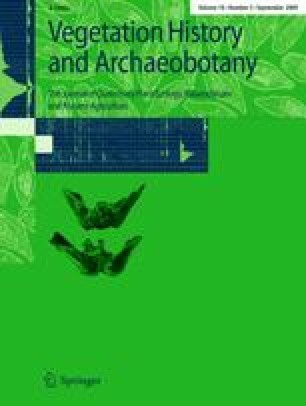 Though the seed/fruit concentration was not high, a long list of taxa was identified of which the largest part belonged to food and ornamental plants. The data suggest that the pit was used for the disposal of dining waste and floor sweepings. The archaeobotanical data are compared with those obtained from other medieval sites in the city, and with two Renaissance sources of documentary evidence, the frescos in the Salone dei Mesi (Room of the months) in Ferrara’s Palazzo Schifanoia, and the cookbook by Cristoforo da Messisbugo, chef at the Este court. The archaeobotanical record of the Vasca Ducale (Ducal Pit) proved to be quite different from the other sites in Ferrara, especially because of the presence of luxury or exotic foods such as, for example, Punica granatum, Prunus armeniaca and Coriandrum sativum. Financial support was partly provided by PaCE—EU Programme ‘Culture 2000’ (CLT2007/1.2.1/IT-182—Plants and Culture: Seeds of the Cultural Heritage of Europe, coordinator Anna Maria Mercuri).